The official release of Samsung Galaxy S8 Plus in April 2017 has sent a wave of thrill down the humankind who have a predilection for the new technology particularly the ‘Samsungonites’. The unit is available in five muted colours of Midnight Black, Orchid Gray, Coral Blue, Artic Silver and Maple Gold. Safety of your phone is a serious concern. As such, we have listed for you the 10 best cover cases that you can buy today and actually be happy about them! Thin and subtly varying in design in accordance with the ups and downs of your palm, this cover case for Samsung Galaxy S8 Plus has an anti-slip matte coating that offers an excellent grip. 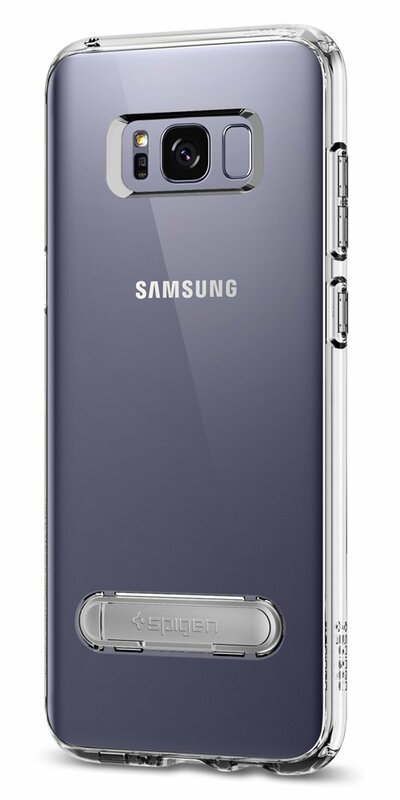 Additionally, the thin hard protective polycarbonate case offers to protect your phone from drops and shocks. The unit offers covered edges to cover all four sides to preclude any chances of bumps and scratches. The case has precise cutouts for speakers, charging ports, audio ports and buttons. This is Clayco’s cover case for the mentioned phone constructed from hard polycarbonate and soft TPU material for 360 degrees protection. The slim and smooth design and fast and easy installation offer an excellent experience. A hidden card slot feature allows for safe and convenient storage for your cards. It is built to last and provides ultimate protection against damage. This is a clear and robust bumper case featuring grip-enhancing textures along the side. The raised bezels on the bottom keep the phone from touching the surface. It also offers excellent drop resistance and will protect your phone from high as well as low drops and shocks. It also ensures that the screen does not anoint with the surface. 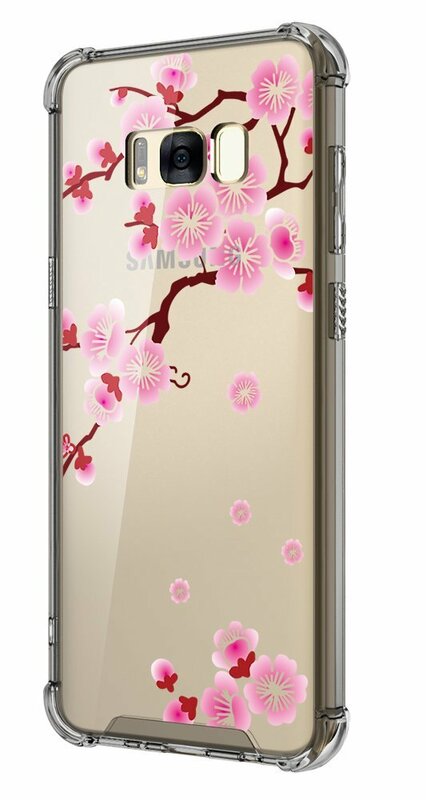 Made from a high quality environmental friendly material, the hybrid design incorporating TPU and polycarbonate ensures luxurious feeling as you hold your phone. The smart design provides access to every functionality and speaker and audio ports. You can find the different patterns in the available link. This is Spigen’s dual-layered protective case made from polycarbonate shell and TPU cover. You can conveniently store two cards in the hidden pocket. Form fitted to assuage the bulk material of cases. Protected from drops by the anti-slip profile and offers protection of front screen with the raised lip. The air cushion technology on all four sides additionally offers anti-shock protection. 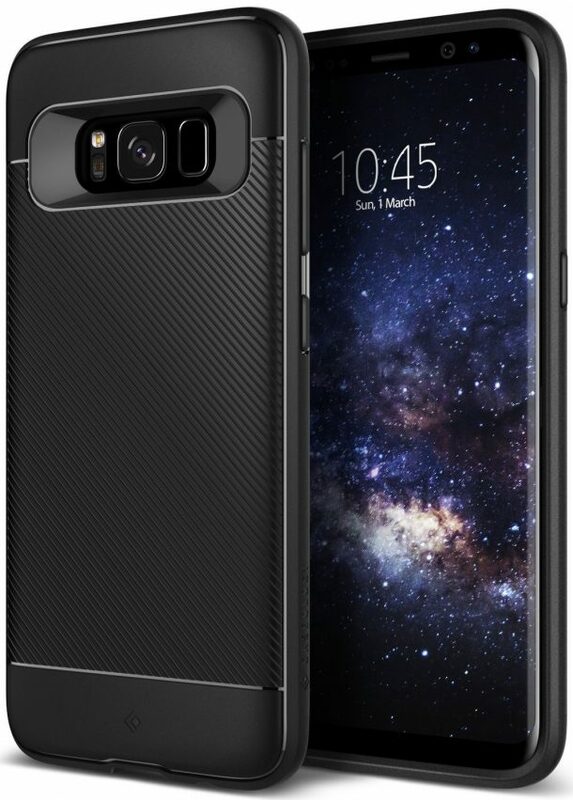 Available in crystal clear and midnight black, this case’s hybrid technology features a TPU bumper and durable polycarbonate back. It is military grade certified and offers air-cushion technology in all corners. The integrated kickstand allows comfortable viewing angle. Precise cutouts for ports and responsive click buttons will make you happy! 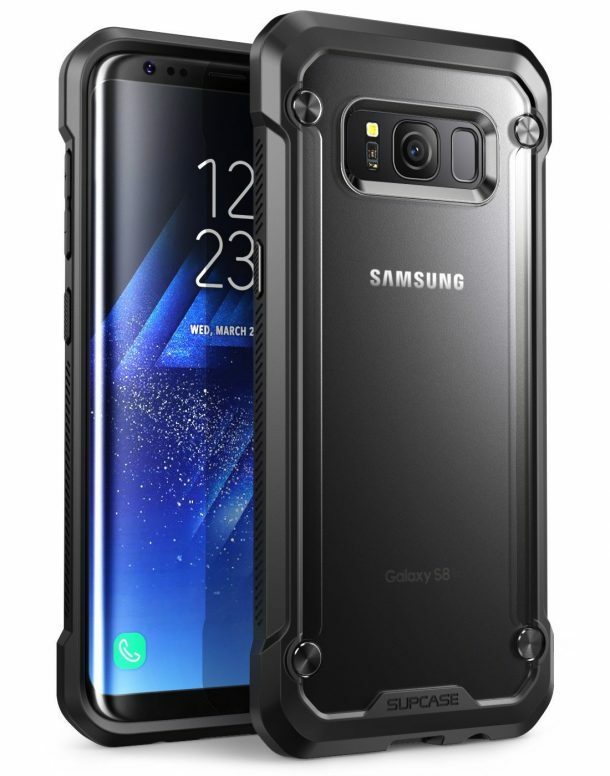 This is Caseology’s non-bulky, sleek and smooth protective cover case for Samsung Galaxy S8 Plus. It features a shock absorbing sleeve that will protect your phone from drops and scratches. It has precise cutouts for ports of audio, camera and speakers and the raised camera bezels prevent the possibility of phone smearing. Made from silicone with 0.6mm thickness, this TPU case offers a light and transparent design offering excellent protection from drops and shocks owing to its excellent shock absorbing and abrasion resistance capabilities. You get full access to your ports and responsive buttons. Slim and comfort to hold. 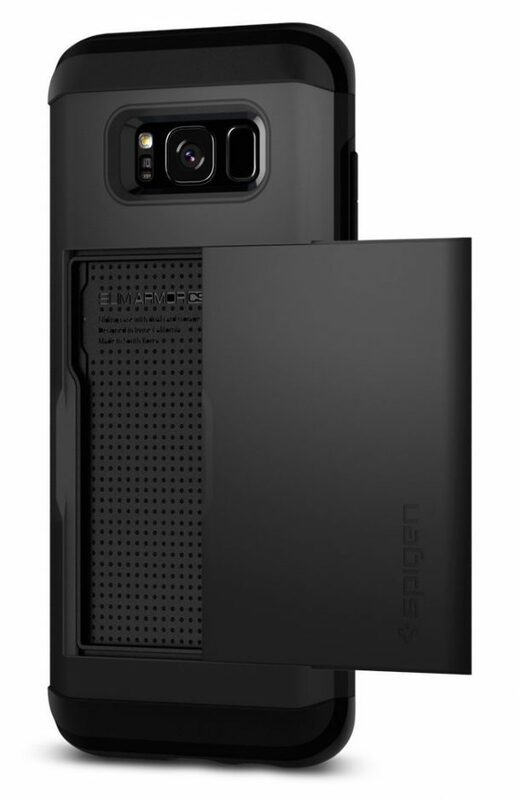 This is Spigen’s slim and dual-layered cover case for S8 Plus featuring precise cutouts for ports and responsive click buttons. 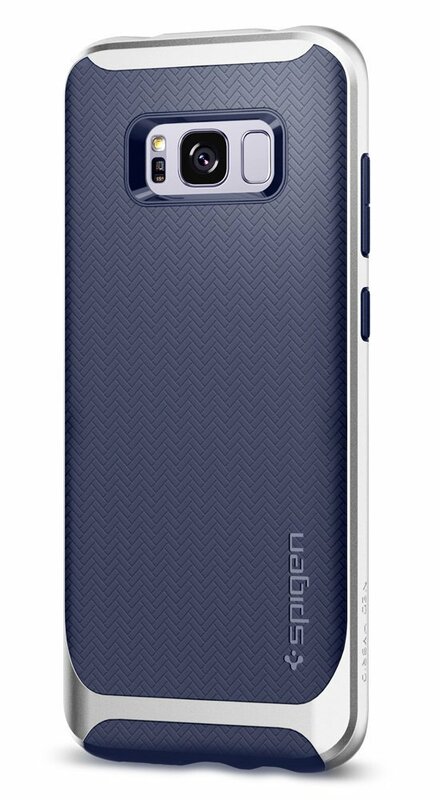 The back of the phone is fingerprint resistant and has a clean herringbone pattern for increased grip. For optimum defence, you are offered a hybrid of hard polycarbonate and soft TPU to incorporate the best qualities from the two. 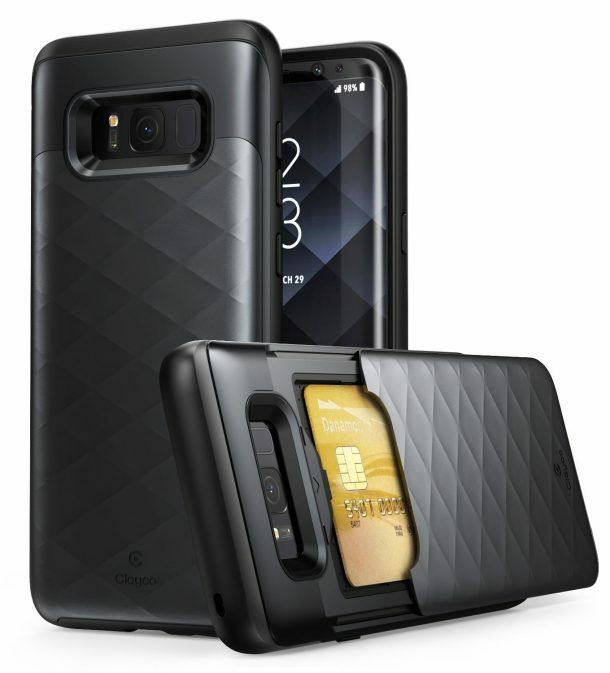 A flip cover case for Samsung Galaxy S8 Plus by Samsung that provides full access to your home screen even if the cover is closed. You can press the power key to access information like time, weather, missed calls and notifications. Additionally, you can also accept and reject calls with a simple swipe without opening the case. The built-in kickstand helps you view in landscape position. Product Size (LWH): 6.4 inches, 3 inches, 0.5 inches.